Let’s talk a little about some types of motor vehicle accidents our offices handle frequently. There are several types of auto accidents that can happen and there's a pretty good chance you’ve been involved in one of them. 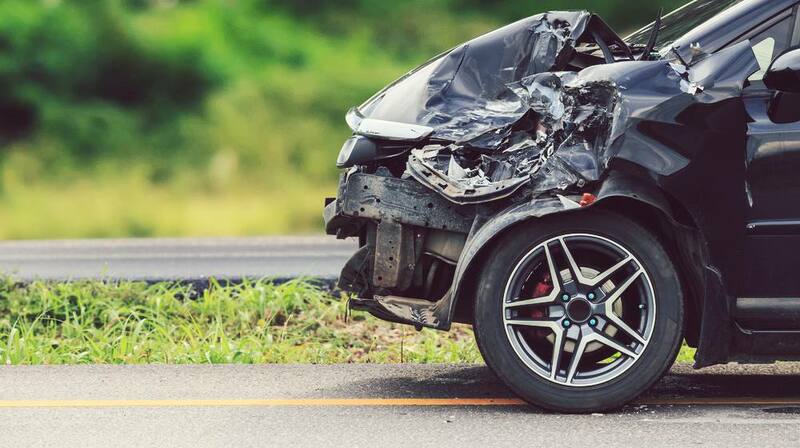 To familiarize yourself with the occurrences involving motor vehicle collisions, check out our list below featuring the common varieties of motor vehicle accidents. Rear End Accidents are almost always caused by a driver who is not paying attention to the road. Inattentiveness and distraction are what lead to this accident. It’s always amazing to me that so much time can elapse between the time the front car stops and the time the rear car plows into it. Often, the driver in the rear feels tired, using a cell phone, or eating a Whopper while driving. Certainly, cameras catching the accident live are more frequent than ever, but often, officials seek witnesses for their own accounts of the event. In most cases, the insurance for the at-fault driver will admit responsibility, but then try to weasel out of paying by stating the accident could not have “caused” the injury to the extent the injured party claims. Note: In the good old days, people would own up to responsibility, but with insurance companies, it’s always a fight. In California, insurance companies refer to accidents with less than $2,000 or so in car damage as MIST CASES or Minor Impact Soft Tissue cases. The insurance companies, despite overwhelming medical evidence that an individual can be hurt at speeds of less than 3 mph, will fight these cases tooth and nail. They often hire defense “hired gun” doctors who try to confuse the jury and state someone could not have been injured in such a crash. In cases like these, experienced car accident attorneys may need to hire a biomechanic to testify and animate exactly how such an injury may occur. Every Low Impact Collision case is difficult and an experienced car accident lawyer can tell you how best to proceed. Often, Front-End or Head-On Crashes cause the most serious injuries to the body. Occasionally, people have time to brace and bracing may give the body some time to prepare for impact. Sometimes, a braced body can help absorb the shock. More often, however, as in this video, there just isn’t time to react. Front-end impacts can occur with other vehicles or with deer, other animals, trees or various obstructions on the road. Also, these impacts can result in very serious injuries, including brain injuries, spinal cord injuries, fractured ribs and cardiac contusions if the airbags go off, lung damage, or frequently, death. Front-end impacts at 40 mph or over almost always result in catastrophic injuries. Intersection Accidents can also be catastrophic, as seen above. This usually happens when a driver tries to beat a yellow light or fails to stop at a stop sign. Another factor that can cause this is the poor design of the intersection and for this, the county or Cal Trans may be partially or fully at fault. I have written extensively on Intersection Accidents and the most dangerous Intersections in Sacramento County and Surrounding areas can be found here. Note: Intersection accidents often have cameras nearby and one can get the film if he acts quickly. The above video shows what is so very dangerous about a side impact. Typically, the impact may throw the driver or passenger's head to the side and may even break the glass on the windshield. Very few cars have side airbags that might otherwise deploy, mitigating the injury to the occupants. Because the head often strikes the side window or door, injuries in these accidents are typically severe, with a concussion, brain injury and upper extremity fractures common. This accident mostly takes place on highways and other busy roads. What makes this type of motor vehicle accident very dangerous is that it can involve many cars. Not only will you be injured, but trauma can also be in the picture right after you experience this accident. The number of possible fatalities can be horrifying, so it's best to check your insurance coverage and claims right away. Another terrifying type of auto accident is the rollover. This is the situation wherein your vehicle rolls over to the other side. Head injuries are the most typical cases in this type of accident. Vehicles with a high center of gravity are most likely to be unstable, especially with high speed. Take note of this if you ever own an SUV and the like. Defensive driving is the key to avoiding car accidents. If you've carefully read and understood the list above, then this must be your key takeaway. If you or a family member experiences any of the above mentioned motor vehicle accidents, you can call me, Ed Smith, for free, friendly advice. 916.921.6400. You may also see the ratings for our office on Yelp, Avvo or Google.